What Really Is Lead Generation? 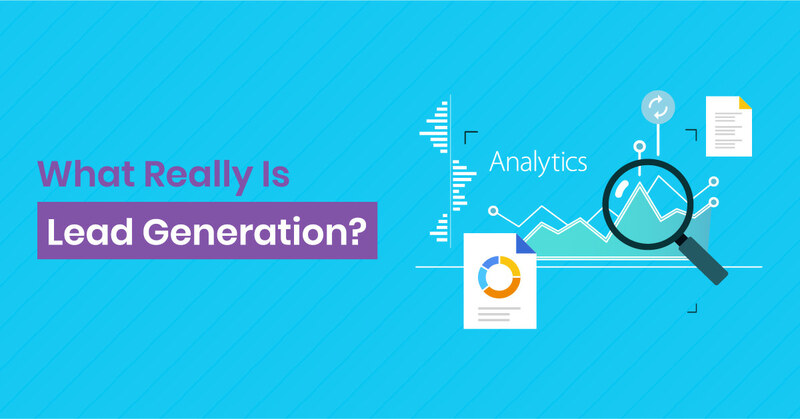 If you are involved in digital marketing, you might be already familiar with the term “lead generation.” But many marketers are still not aware of what lead generation means at the most fundamental level. In fact, you should have an idea of what something means at the most basic level in order to take advantage of the strategy. That is why you should know what lead generation is at the most basic level. A lead is an individual who has already expressed some interest in a product or service that you sell. Once you collect some good leads, you can directly proceed to a warm call by skipping the first two steps of the sales cycle such as dreaded prospecting and cold-calling. In fact, a warm call is much more valuable than a cold call. You are more likely to sell your product or service to a warm call compared to a cold call. That is why lead generation is very important for the success of your business. Since many experts have already declared that cold-calling is already dead, lead generation becomes even more important in this day and age. With a warm call, you can directly proceed to close the sale since the individual has already expressed some form of interest in your product or service. In fact, the person is expecting to hear from you when it comes to a warm call. This shows the importance of lead generation to take your business to the next level. When you contact a lead, you can use the information you have already collected to personalize your sales efforts. That way your sales call is somewhat personal and enjoyable to the prospective client compared to a cold call. You are more likely to succeed with such a sale compared to cold calling efforts. That is where lead generation becomes so important. Lead generation is the method used to get people to give you their contact information. Simply put, lead generation is any type of method that you use to collect leads for your business. Lead generation helps find ways to make people interested in the products or services you offer and make them seek more information about your brand. It is the method of starting to funnel in potential buyers of your product or service down to the path of buying. Lead generation is very important for the success of your business. The buying process has changed a lot in this day and age. Hence, you need to find new methods of finding customers for your business if you want to stay afloat and compete with other marketers in the industry. If people indicate to you that they are interested in your business, you should contact them about what you have to offer. That way they are no longer strangers to your company. In fact, such a person becomes a true sales prospect for your business – who has already told you that they are interested in your products and services. A website is essential to collect a lead on the internet. The lead is collected through a form on your website. There are different methods of collecting leads in this day and age. Here are some of the most effective lead generation methods out there. Email marketing is one of the most effective lead generation methods out there. It has stood the test of time for more than 23 years. In fact, B2B marketers claim that email marketing is the best lead generation strategy for them. Many marketers have stated that their revenue increased by more than 100% with email marketing. If you are not using email marketing for your business, you are leaving a lot of money on the table. That is why you should invest in email marketing as it is one of the best lead generation methods out there. Organic and paid search help improve your lead generation efforts by many folds. In fact, SEO and PPC are two of the best lead generation methods on the market today. Ranking higher in Google and the other search engines will help attract more targeted customers to your business. These leads are much more targeted to the product or service that you offer since the visitors are already searching for your product/service using the search box of the relevant search engine. That is why you need to invest in search engine optimisation or pay-per-click marketing in order to improve your lead generation efforts in the long run.